About Comics did not invent the 24-hour comic challenge, daring creators to create a 24 page comic book, normally months of work, in 24 straight hours; that achievement belongs to Scott McCloud, comicdom’s leading theoretician. What About Comics added to the mix was launching 24 Hour Comics Day, the annual international festival of comics creation, when hundreds of comics creators gather at dozens of official event locations (and still others take part at home), taking the challenge. The event launched in 2004. 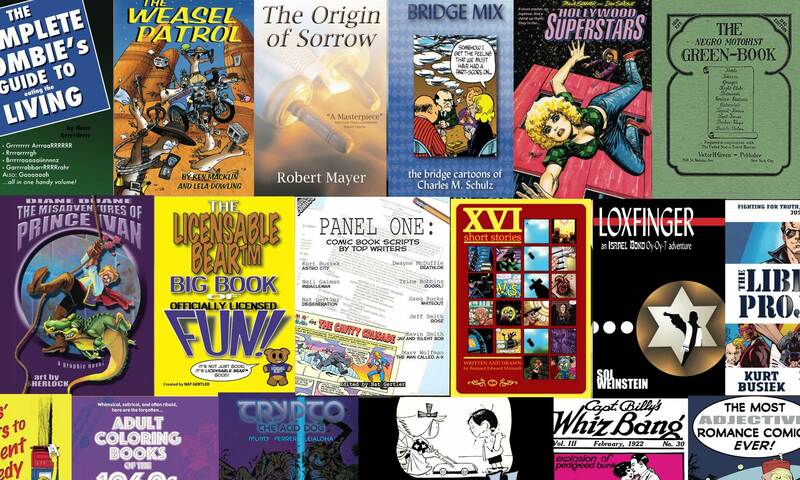 About Comics was publishing 24 Hour Comics, a McCloud-edited anthology of 24-hour comics. Seeking to publicize the book, we reached out to comics retailers, hoping we could find one that would host a gathering of creators that might get some coverage. To our surprise, within a day we had over a dozen retailers hoping to be that host. So instead of picking just one location, we set a date – 4/24/2004, perfect for a 24-hour event – and rounded up as many locations as we could. With events in three countries the first year, the holiday was international from the start, and would only grow from there. About Comics oversaw the event for the first four years before passing control to the comics retailer organization ComicsPRO. For the first three years, we published annual 24 Hour Comics Day Highlights volumes collecting interesting works from the day. Contributors include big names like Paul Smith and Zander Cannon; first times who had never tried drawing a comic before; and then-unknowns like Faith Erin Hicks, Svetlana Chmakova, and the very first Fiona Staples story ever published. While About Comics is no longer in charge of the event, we do still provide our support. 24 Hour Comics Day is now held on the first Saturday of October; learn more at www.24HourComicsDay.com.